The Newcastle is a solid timber door with bold architectural lines. 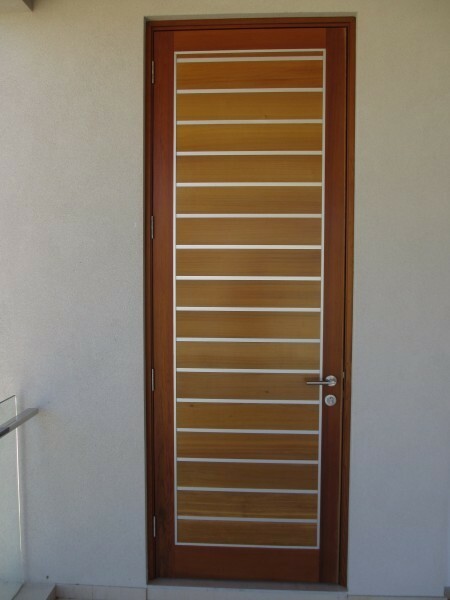 This lovely door features 135mm horizontal timber planks with striking anodised metal trim accents. The number and position of metal accent strips can be customised. 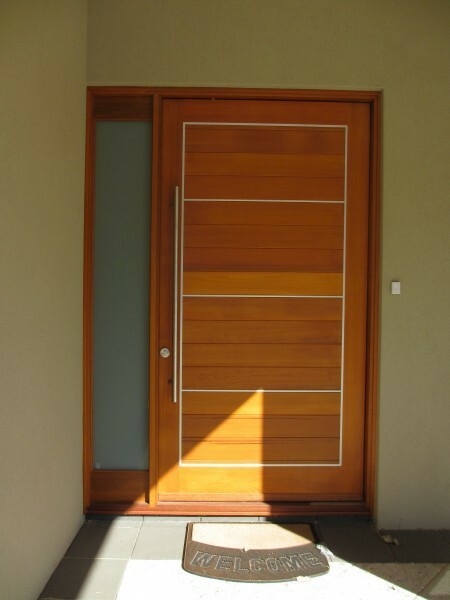 All Cedar West doors are made to measure to suit your individual requirements. Horizontal 135mm tongue-and-grooved, planked timber. Tongue-and-groove boards are 27mm thick to centre. External clear anodised metal decor trim included as standard. Internal trim optional. 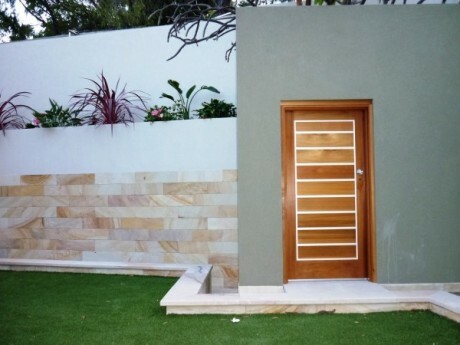 All doors are custom-made to suit your requirements. Fully customisable. Quality construction using solid cedar. Can be used with all Cedar West door frames (eg hinged or pivot). Newcastle doors nominally 38mm thick as standard (44mm optional).